Last night, for the first time since activating the fire alarm system, the alarm went off. This happened during the evening prayer - the Puja in the Temple was completed and the evening prayer in the Church had just begun. 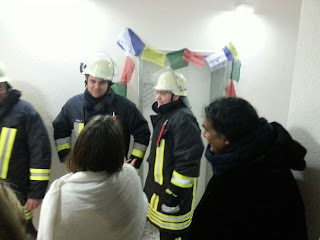 Then it started: loud sirens in the building, all fire curtains in the light-hall were closed (loudly) and at first we looked at each other a bit helplessly. We knew that at the same moment, in 19 villages around Springen the sirens sounded and that all the fire departments were on their way to us! 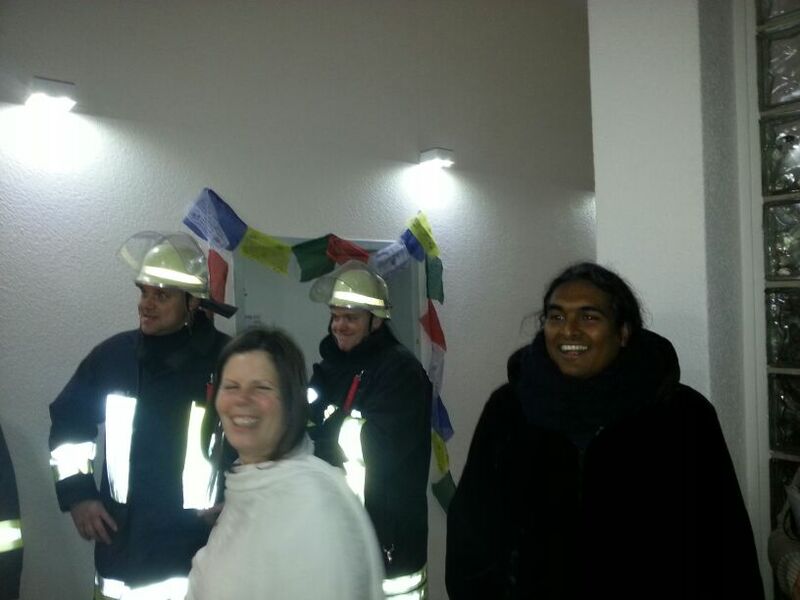 We asked everyone to leave the Temple-area and go into the Reception hall and in the Bhajan Cafe, (instead of going outside in the freezing snow-storm) to wait until the firemen would tell us more. 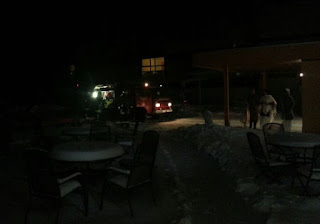 This worked perfectly and all-in-all it took less than 10 minutes and the first fire truck arrived. Quickly we realized what had caused the alarm to go off: Swamiji wanted to show the Deacon how to make a lot of smoke with a lot of incense - not knowing that in the sacristy there are no heat detectors (as in the Church, Temple and in the light-hall), but smoke detectors. In the end, after a proper inspection of the affected area, everything was good, and the other 18 fire brigades that were on their way to us were given an "all clear" by the fire chief!